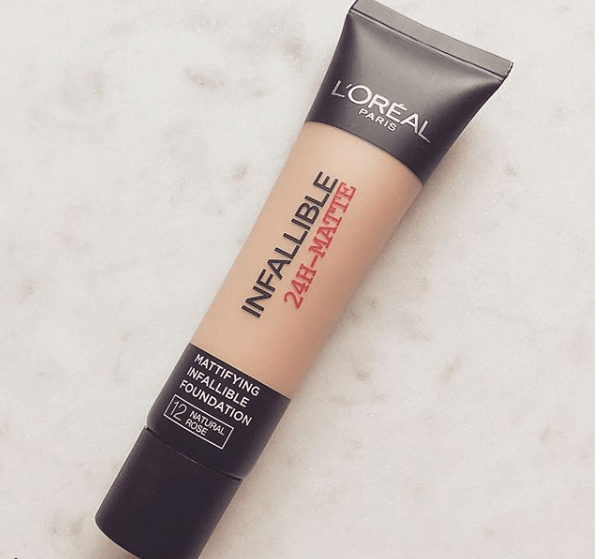 The L’oreal Infallible Matte 24 Hour Foundation has been on my list for quite a while now and if I am honest I just didn’t end up buying it. I am usually a matte foundation person but I do like satin and dewy finishes too. I have finally got my hands on it and I want to share my thoughts on it. I found this foundation to be lovely and smooth to apply, super bendable and quite a thick texture. I didn’t feel like I had to use a lot of product a little bit goes a long way which is good because I can save on product. It’s not at all a dry finish which I thought it would be. It actually gives me that airbrushed look. This is definitely a foundation for normal to oily skin. I think maybe if you have dry skin it might cling to them dry patches a little bit because of how mattifying this foundation is. Coverage is really good, I would say it is a high coverage foundation, it doesn’t give you that blurred out effect but it minimises unevenness and discolouration. It also doesn’t feel cakey or heavy on my skin. I actually really love this foundation. I think for the price of this foundation at £8.99 this is an excellent foundation, I keep reaching for it a lot in my collection. However what fits my skin might not fit yours but I do recommend this and for the price of it you may as well grab one and try it. I can not recommend this foundation enough.